CLAYTON PLAN. 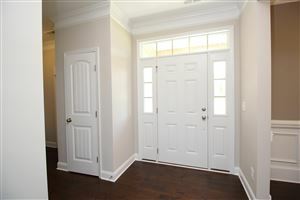 $3,000 ALLOWANCE FOR CLOSING COSTS OR BUILDER UPGRADES, PLUS 1% LENDER CREDIT WITH PARTICIPATING LENDER (up to $2,500)! 4BR/3.5BA with an upstairs Loft area & Home Office. 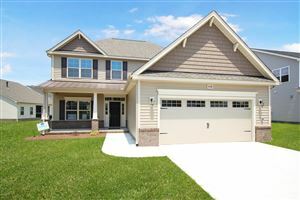 Additional features include: Open Layout with Formal Dining, Family room with Gas Logs, and Eat-in Kitchen with center Island. Downstairs Master Suite has a Tile Shower, Separate Tub & Double Vanities. 3 Additional Bedrooms and 2 Full Baths upstairs. Double Attached Garage, Covered Porch & Rear Patio. Estimated completion May 2019. From Evans to Old Tar Road. Turn left into Irish Creek. Right onto Blackwater. Glen Castle on the left off Blackwater Dr.
$1,231 would be your approximate monthly principal and interest payment. This payment is based on a 30-year loan at a fixed rate of 4.12 % with a down payment of $28,250. Actual lender interest rates and loan programs may vary.